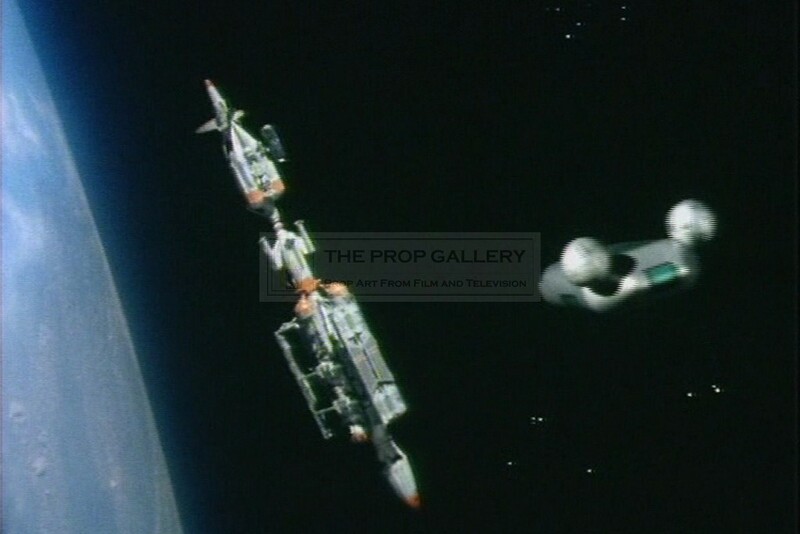 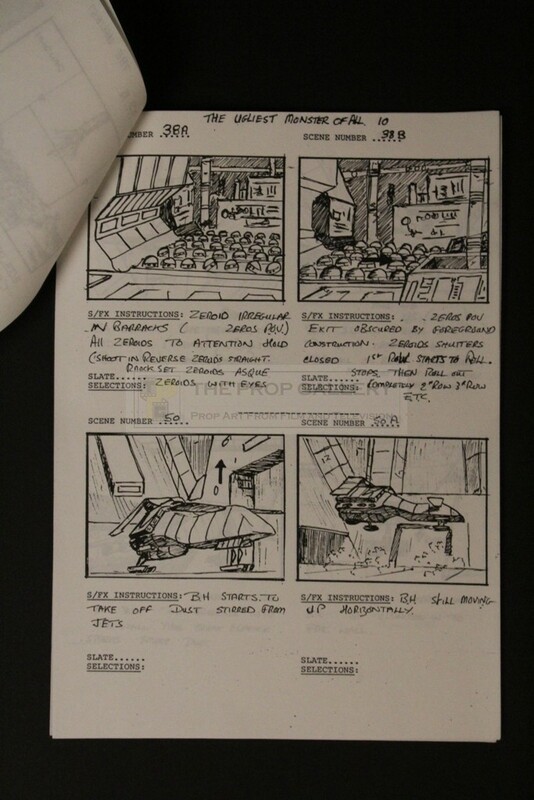 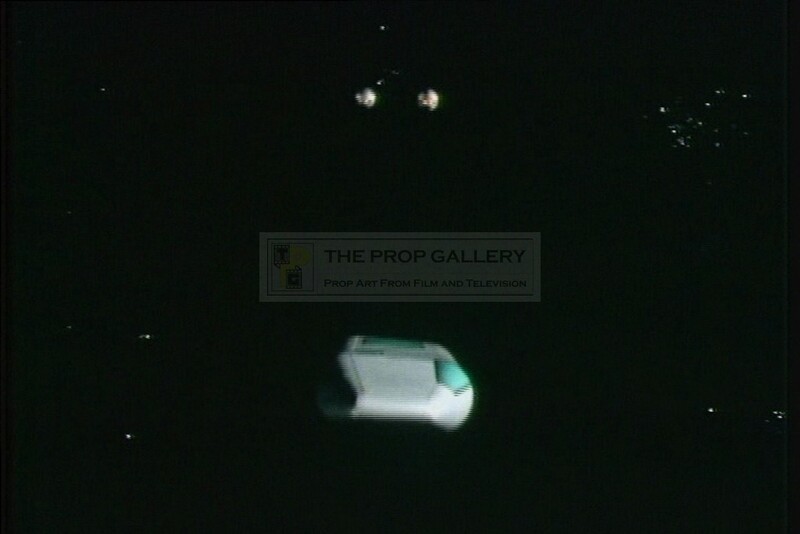 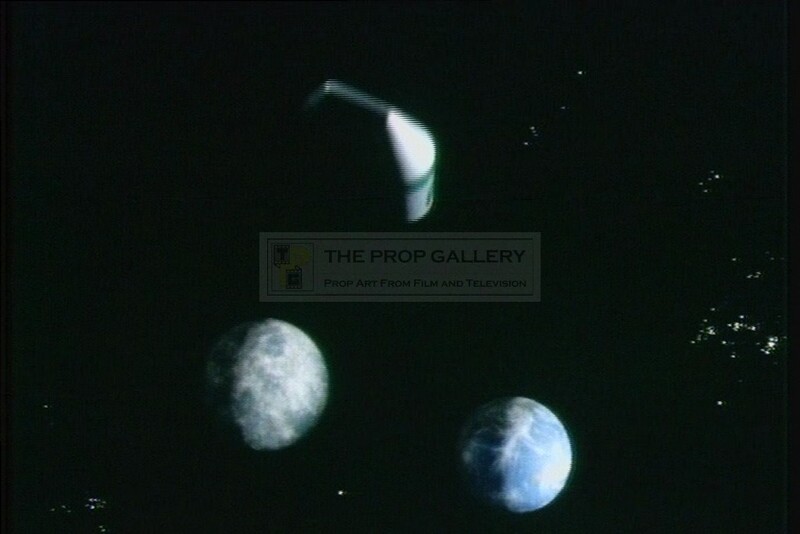 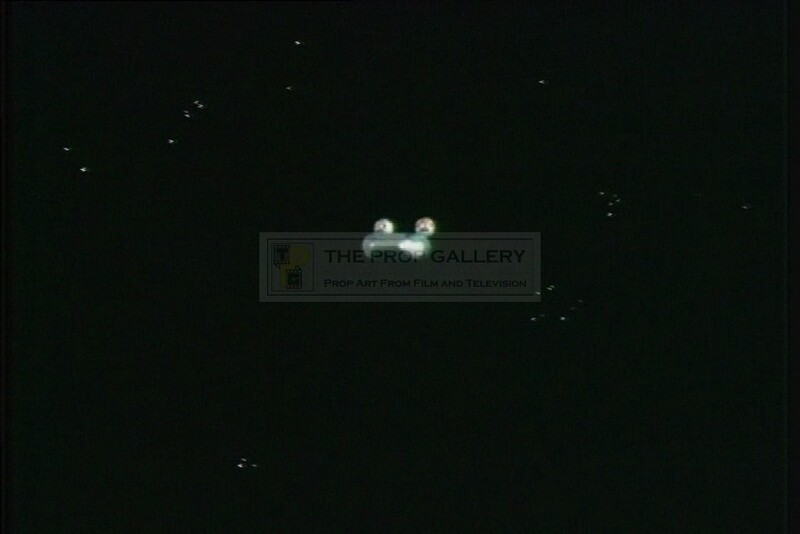 An original storyboard sequence used in the production of Terrahawks, the 1980s British science fiction television series produced by Thunderbirds creator Gerry Anderson in conjunction with Christopher Burr. 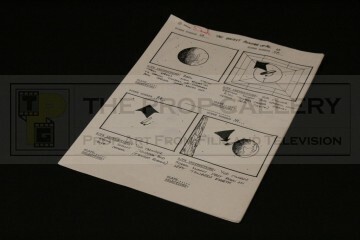 These storyboards are copies of the original renderings issued to and used by assistant director Derek Whitehurst during the production of the episode The Ugliest Monster of All. 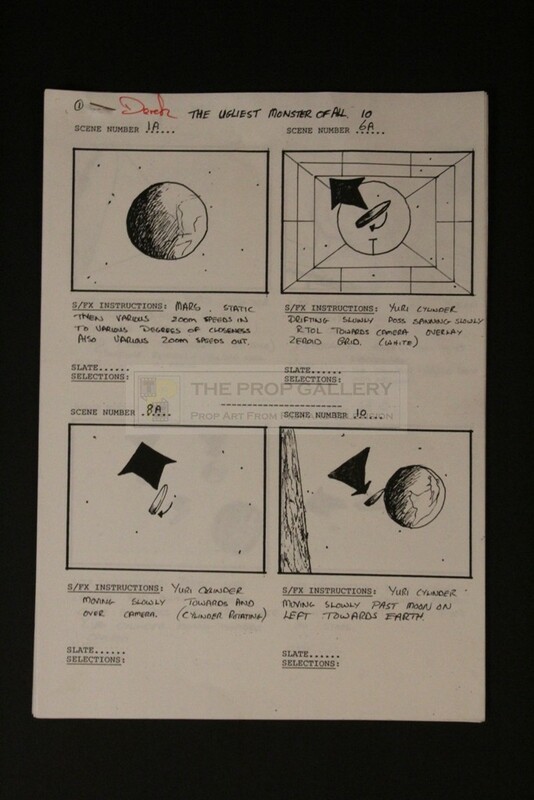 The storyboard sequence consists of eight pages with each containing four images relating to special effects shots which contain instructions below. 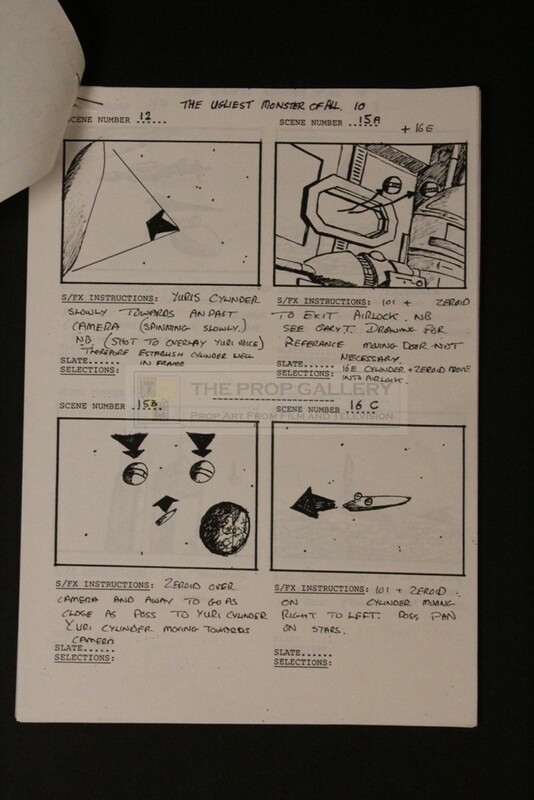 The sequence is bound by a staple to the top left corner and is hand inscribed with Derek's name in red pen. 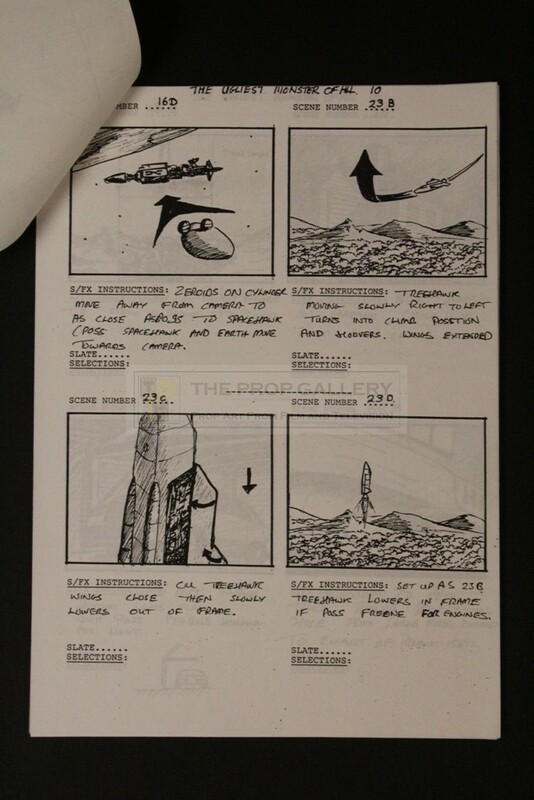 The storyboard sequence remains in excellent production used condition with only light edge wear however care is required when handling as the front page is close to becoming detached from the others, overall very fine. 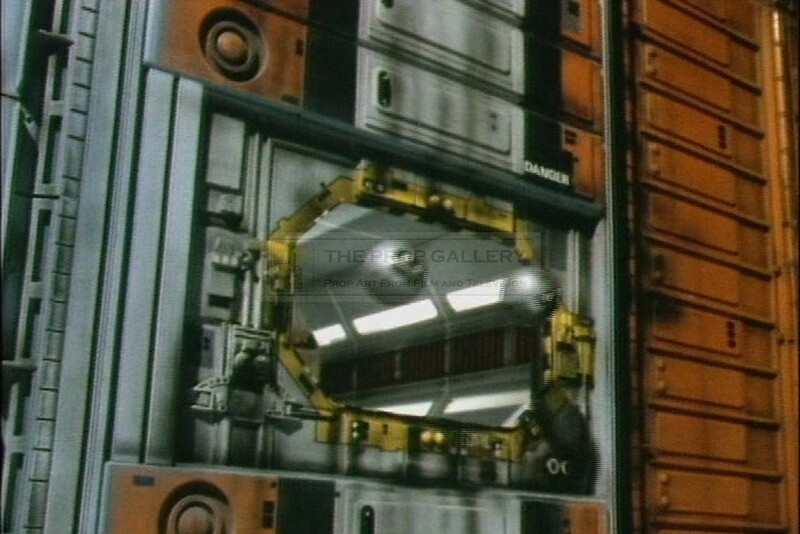 A lovely production artefact containing some fine imagery from this classic Anderson series.